There are two well-known approaches for biodiversity conservation, viz., protecting the habitat by adopting in situ conservation and protecting individual species outside the habitat (ex situ). Biotechnology emerged as a universal tool for conserving biodiversity, management, and utilization. Through the application of biotechnological technique, the management of plant genetic resources for food and agriculture was made easy. It also helps to prevent the trend of genetic erosion in crops related to food and agriculture. The conservation of biodiversity is a complex process and could be achieved through protection of habitats, and it requires in depth analysis of available bio resources. The concept of conservation is changing over the past period and moved from static to dynamic phase with changing policies. 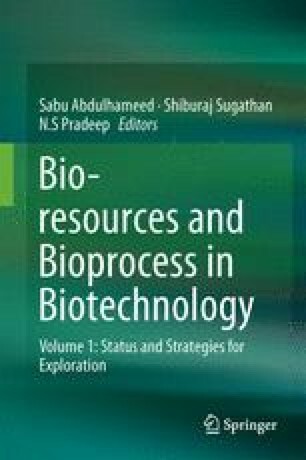 The various approaches for conservation of bioresources with the examples are discussed within this chapter.